SAO PAULO — The right-wing front-runner in Brazil's presidential race called his leftist rival a "puppet" while his opponent mocked him for avoiding debates, engaging in a heated Twitter exchange Tuesday less than two weeks before their runoff election. 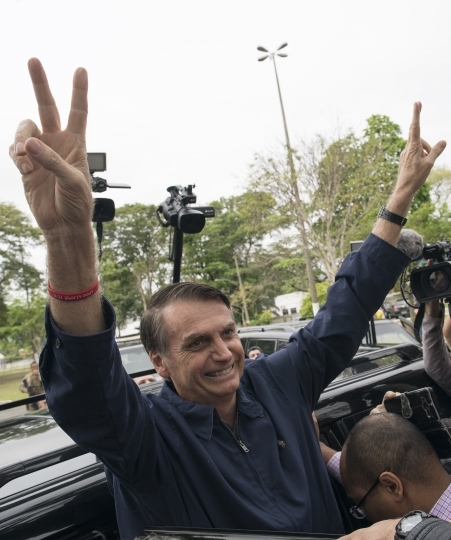 The candidates haven't met in any of a series of scheduled televised debates, with rightist Jair Bolsonaro declining to participate after being stabbed during a Sept. 6 campaign event. He was released from the hospital 23 days later but says his doctors recommended against him attending the debates. 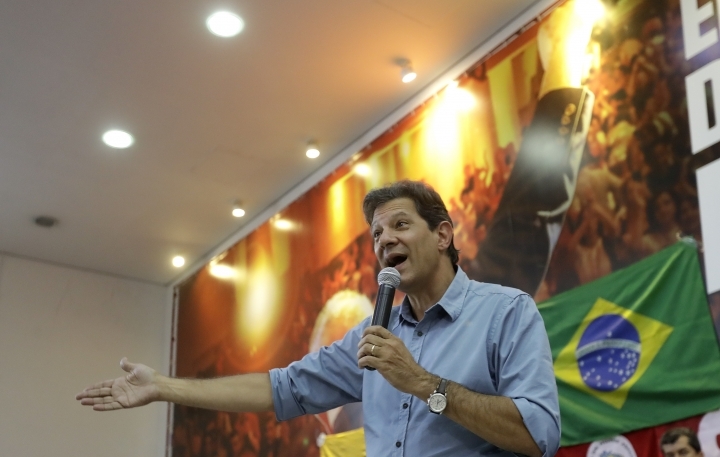 In Tuesday's exchange, Bolsonaro called leftist candidate Fernando Haddad a "puppet guided by a drunkard" — a reference to jailed former President Luiz Inacio Lula da Silva, who hand-picked Haddad to succeed him as the Workers' Party presidential candidate after being barred from the race. "It is easy to use Twitter and live online videos, congressman," responded Haddad, the former mayor of Sao Paulo. "Let's debate face to face, with politeness, in a hospital if needed. People need to see you coming to the job interview." Bolsonaro won the first round of the presidential election Oct. 7 with 46 percent of the vote, against Haddad's 29 percent. But since he failed to top 50 percent, Bolsonaro is in a second-round ballot against Haddad on Oct. 28. 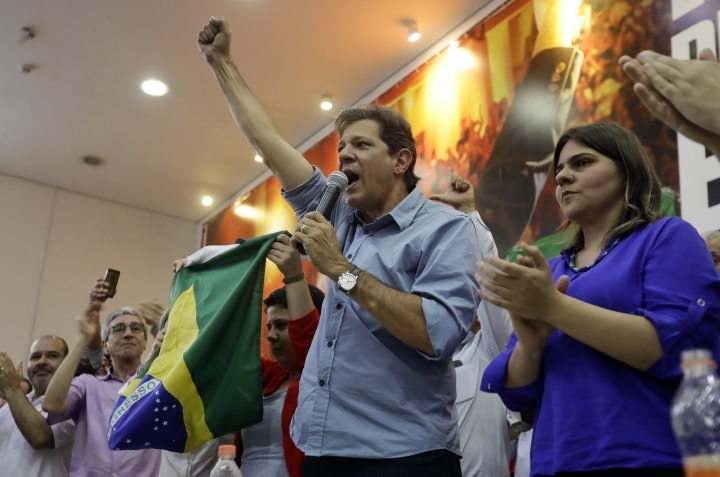 Tuesday's exchange began after Haddad criticized his own Workers' Party for recent corruption scandals, which include the huge "Car Wash" investigation that has ensnared Brazil's top political and business leaders. "The corruption in the Lula (da Silva) and Dilma Rousseff administrations was not isolated, it was a rule of governing," the former army captain tweeted. Bolsonaro then tweeted: "There is one (drunkard) that was jailed for corruption, and you give him private visits every week." The far-right candidate used a term that describes conjugal visits by partners to male inmates. Haddad retorted by criticizing Bolsonaro for staying away from the debates while still giving interviews and online speeches. 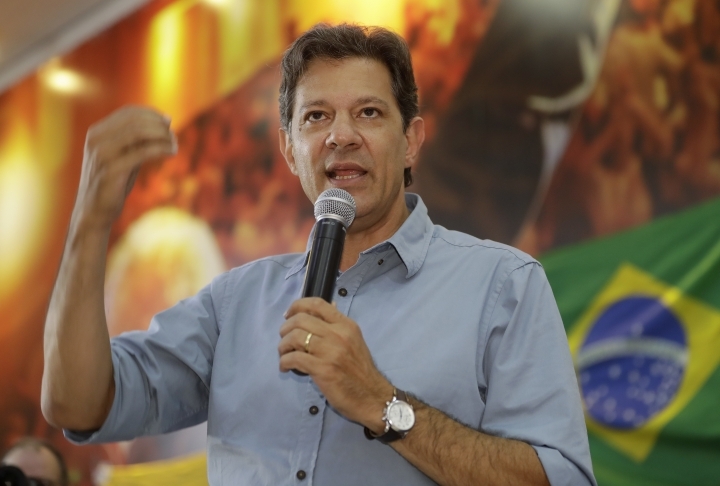 His words with Haddad came as the Workers' Party criticized the other candidates defeated in the first round of voting for not uniting behind Haddad against Bolsonaro. Party chairwoman Gleisi Hoffmann took to Twitter after a poll released Monday put Bolsonaro far ahead of Haddad. "If the Workers' Party were not in the runoff, it would endorse the adversary of congressman Bolsonaro because he will not promote democracy in this country," Hoffmann tweeted. "We hoped that this was going to be a natural move (to endorse Haddad), but I am seeing it is not."